Signature are the indisputable originals of the cigar world. Timeless and elegant classics in every sense, the mild Signature blend allows fresh floral scents to mingle with earthy, woody notes, revealing a hint of sweetness that leaves a characteristically clean and creamy aftertaste. Having stood the test of time the Signature blend represents the very essence of time beautifully filled. The Signature line pairs perfectly with elegant beverages such as Champagne where both the cigar and the beverage go hand in hand. 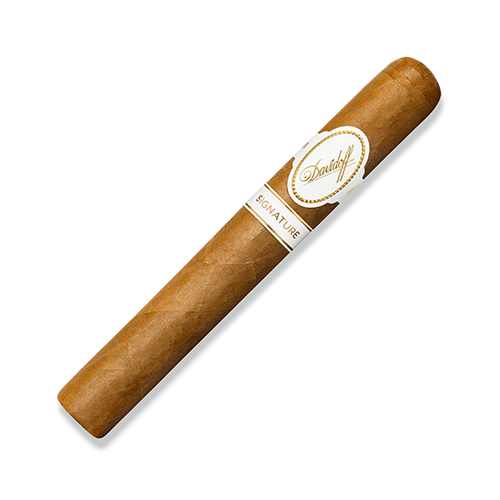 Even with a peat and smoky Whisky the Davidoff Signature accompanies it well without being too dominant. The earthy, woody notes of this harmonious blend emphasise the floral aromas and leave a particularly clean, creamy aftertaste. Ideal for when time is scarce, but the need to fill it beautifully remains, the Davidoff Signature Petit Corona provides an intense release of flavours, yet refrains from overwhelming the palate. The generous Toro, with its 54-ring gauge, delivers the perfect combination of complexity and balance. 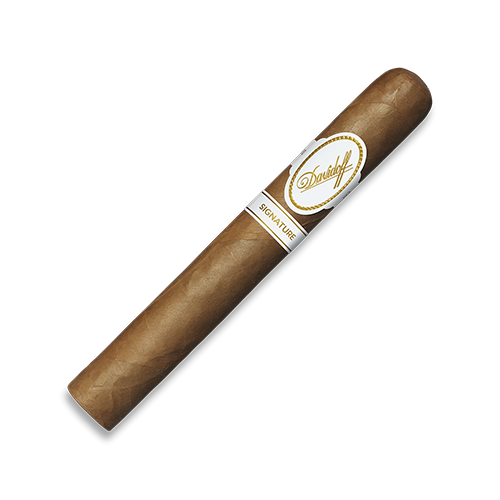 This is a pleasingly complex cigar, which allows creamy, sweet notes to surface. The small size of this Señorita format lends itself perfectly to the use of a larger portion of Volado tobacco, the milder leaves harvested from the bottom of the plant. It is they that help deliver its wonderfully earthy notes and creamy aftertaste. 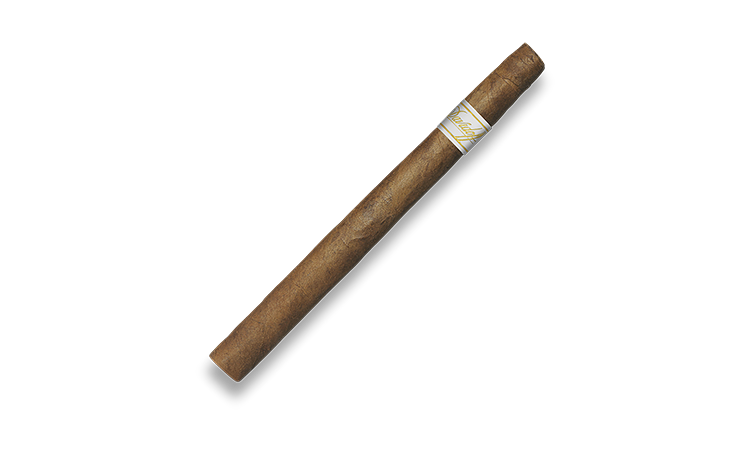 The smallest hand-rolled long-filler cigar in the world, an Exquisitos will fill your time with pure pleasures, worthy of a much larger cigar. 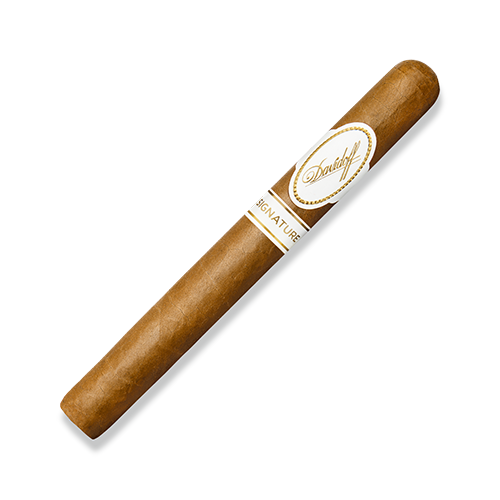 And, even with their small ring gauge, the Exquisitos preserves the balance and elegance of the Davidoff Signature Blend. The woody, earthly notes of the blend, and its sweet aftertaste, are delivered together in harmony with its sublime aromas. Small? Yes. 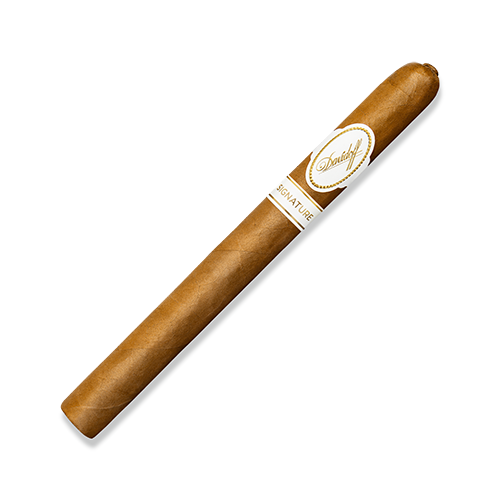 But this cigar fills a precious break with rewarding tastes. This timeless Corona, first crafted 35 years ago, became an immediate success. 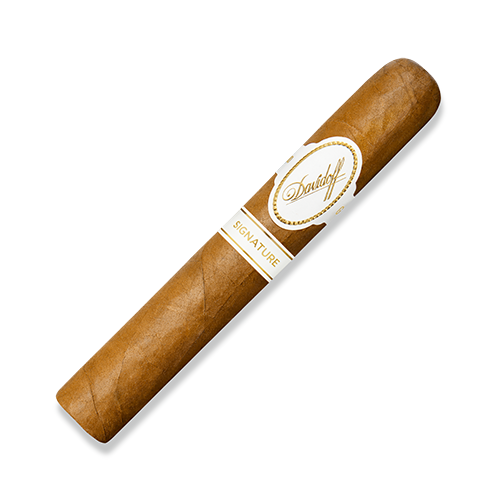 As highly regarded today as ever, this is Davidoff’s bestselling cigar worldwide, with an aficionado enjoying one every 30 seconds. 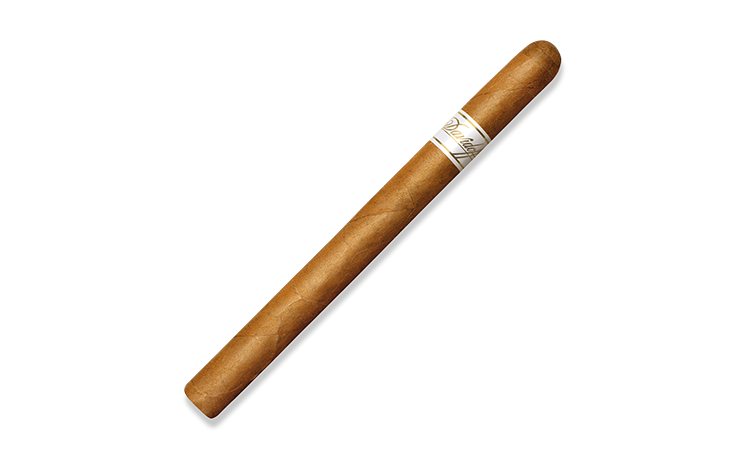 Slightly narrower than a typical Robusto, the 6000 produces a dense, mild smoke which emphasises the elegant woody, earthy aromas of the blend, finally releasing a pleasant creaminess.